The familiar American political landscape of Democrats and Republicans, liberals and conservatives has been dramatically altered. Concepts once considered completely foreign and unacceptable are now openly and vigorously competing in the marketplace of ideas. This newly empowered radical movement consists of socialists, environmental extremists, and dissenters from the Judeo-Christian ethic that has essentially formed the underpinnings of western thought. Although disparate in many of their beliefs, they share a common enmity for American culture, the U.S. Constitution, and free enterprise. This unites them, at least until the existing order is overturned. They also have in common a particular disdain for the First Amendment, and the rejection of the supremacy of facts over ideology. A hallmark of the radical left is a constant trend to censor and outcast any comment they disagree with. Their influence is not to be taken lightly, and their success rate is alarming. This was rather dramatically illustrated recently by separate incidents affecting conservative commentator Jeanine Pirro and Chelsea Clinton, the liberal daughter of Bill and Hillary Clinton. 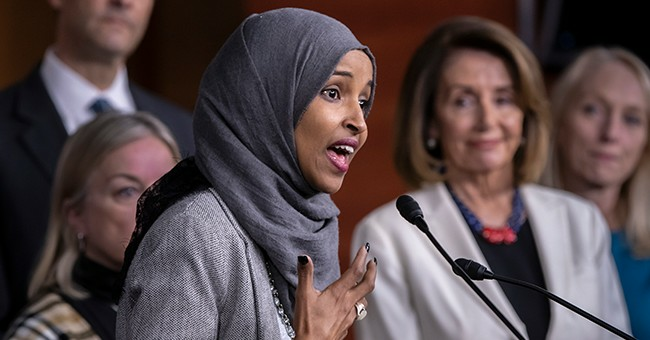 Pirro questioned whether Rep. Ilhan Omar, (D-Minn.), who has made aggressively anti-Semitic comments and has also accused the U.S. of planning a coup in Venezuela, placed her personal beliefs above the Constitution, allegedly symbolized by her clothing. Her FOX program was subsequently suspended. Clinton’s comments were so innocuous as to seem not even worthy of attention. While attending a vigil for the Muslims killed at a New Zealand Mosque, the former First Daughter was sharply criticized and absurdly accused of being the cause of the massacre simply because she disagreed with an anti-Semitic tweet by the same Rep. Omar. The fact that a commentator was suspended for merely raising a question is noteworthy, another example in a growing list of successful censorship activities engineered by a vigorous radical left. The fact that many students agreed with the criticism of Clinton is indicative of the success that the left’s anti-fact drive has enjoyed. The radicals also differ from traditional politics in their condonation and actual employment of force and the threat of violence, particularly in their assault on the First Amendment. Conservative commentator Tucker Carlson’s home was assaulted by an ANTIFA mob, a group which is, essentially, the equivalent of the Nazi (National Socialist) Party’s “Brownshirts” who terrorized Jews and other dissenters of Hitler’s rise to absolute power. A Breitbart studydescribed over 600 acts of violence against Trump supporters. Reports of individuals being assaulted for merely wearing a “Make America Great Again” cap are a regular occurrence. Universities are a key power center of the radical left. The descent of American colleges was first significantly noted in 1987, when author Allan Bloom published his landmark book, “The closing of the American Mind.” He reported that the curriculum rejected rationality and reality. The situation has since grown worse. Throughout the nation, professors, students, and guest speakers alike who challenge the leftist orthodoxy are harassed and marginalized. Insane policies that defy the very foundation of the First Amendment have been enacted to prevent the free exchange of ideas. Political correctness—which in practice can include the rejection of anything that challenges left wing biases—has replaced open discourse. Clear examples of an increasingly totalitarian bent can be seen in the treatment of teachers and guest lecturers who refuse to kowtow to the Leftist academic establishment. The push to employ the same socialist policies that have consistently failed in nations as diverse as the Soviet Union, East Germany, North Korea and Venezuela is in and of itself a clear example of the Radical’s rejection of facts. The unprecedented mainstreaming of violence, suppression of free speech, and the rejection of facts is a dangerous new reality in American politics can no longer be ignored. Frank Vernuccio is editor-in-chief of the New York Analysis of Policy and Government.